Thai Ayodhya Villa Resort & Spa is a beachfront resort located in 6 acres of glorious gardens next to Lamai beach and just two minutes walk from the Koh Samui landmark of Hin Ta and Hin Yi rocks. The resort has been elegantly designed to fit in with the stunning island landscape and rich local culture. Koh Samui is Thailand‘s third largest island, one which offers both tranquility and adventure. We welcome you to our tropical paradise, where you will find yourself relaxing in the lap of luxury. If it’s Thai beauty, luxury, and genuine hospitality you seek, you’ve come to the right place! 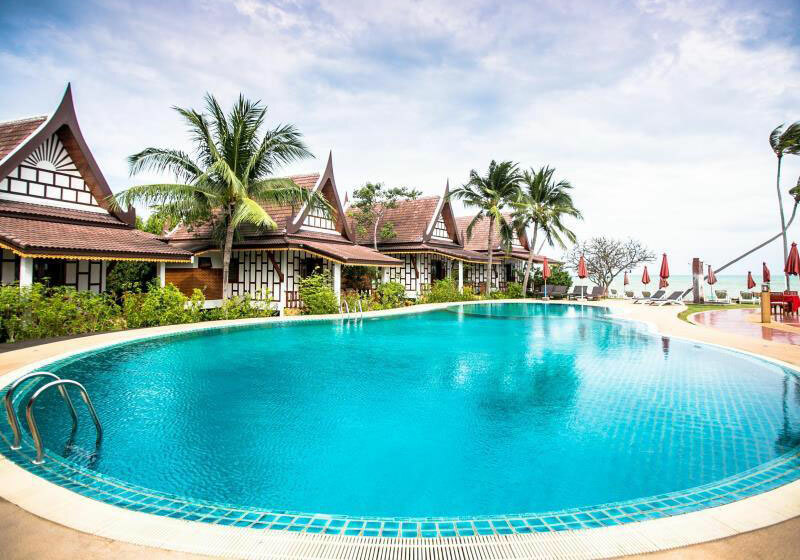 Short Description: Thai Ayodhya Villa Resort & Spa is a beachfront resort located in 6 acres of glorious gardens next to Lamai beach and just two minutes walk from the Koh Samui landmark of Hin Ta and Hin Yi rocks.